Today, March 20th, marks the first day of spring- punctuated by warmer days and the return of flower blooms and green grass. 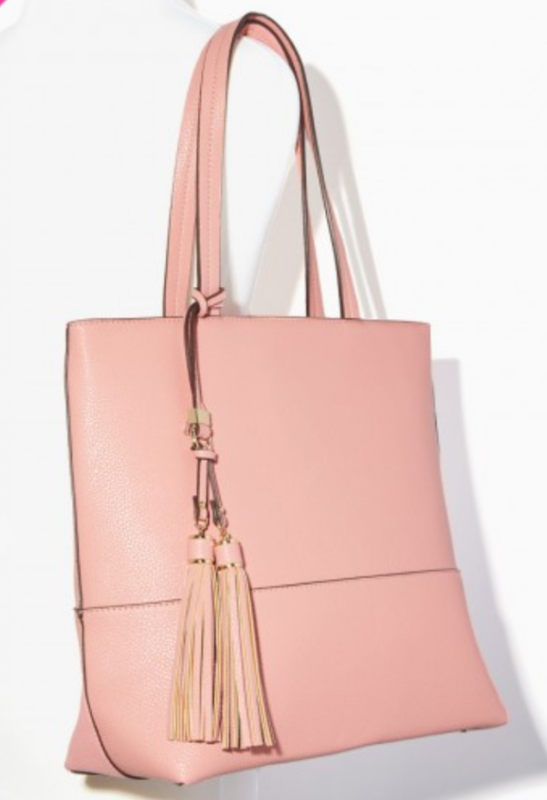 Is there any color more subtly Spring than blush? And I say subtly because, sure, there are other colors that love to introduce the longer days and brighter sunshine, such as yellow and turquoise; but those colors scream spring, whereas blush gently guides you into spring and makes everything simply pretty. 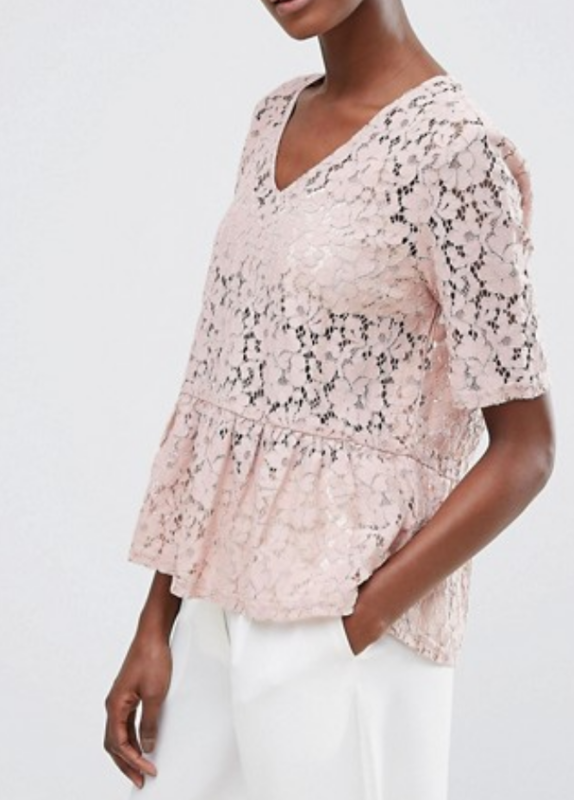 Blush is that mix of pink and white (or peach and white) that can flatter many skintones, from a fair-skinned girl like me, to the darkest of skintones. 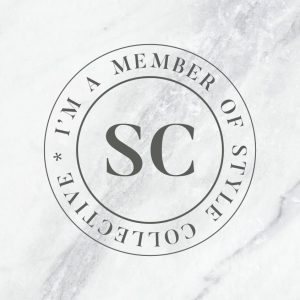 But if you are fair-skinned, you may have to be a bit choosier with your blush, and go a little brighter in tone or your blush top can blend in with your skin (case in point- I LOVE rose gold jewelry, but I have a very hard time wearing most rose gold because it’s basically the same color as my skin. In that case, I steer more towards yellow-gold or pick a warmer or brighter pink- see my sunglasses in the pic below). Wearing my blush top and rose gold sunnies! 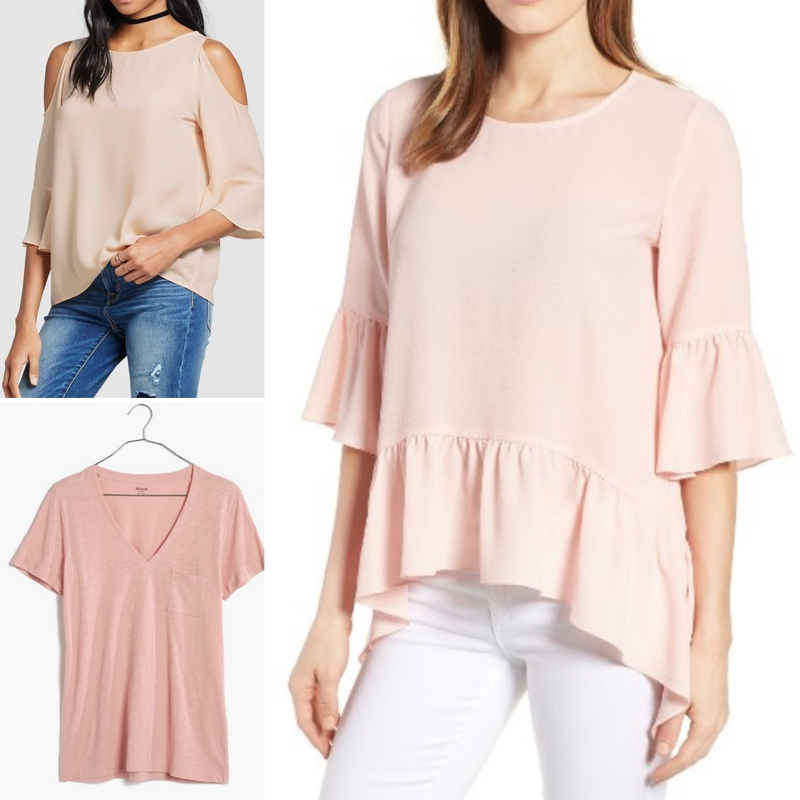 Top left- Mossimo Cold-Shoulder Woven top ($23). 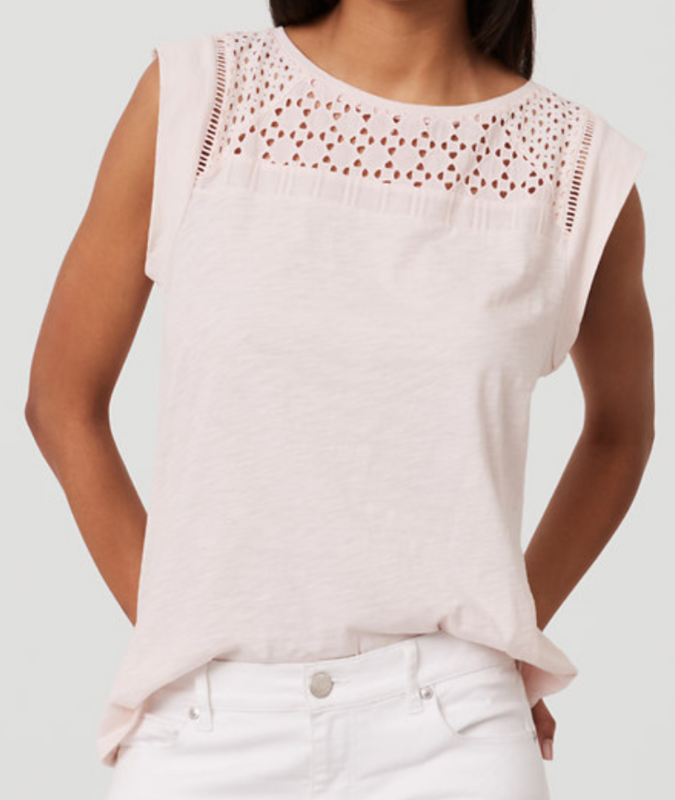 Bottom left- Madewell Whisper V-neck Pocket Tee ($19.50). 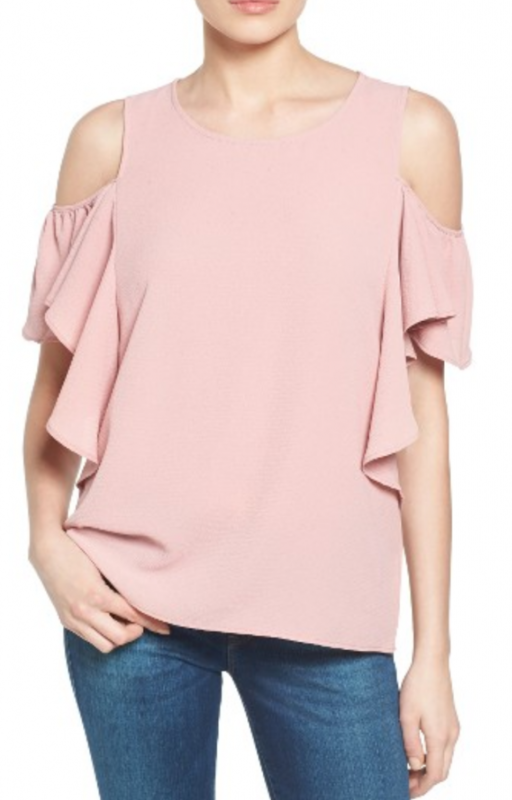 Right- Gibson Ruffled Handkerchief Hem Top ($40). We can’t forget the bottom half, right? 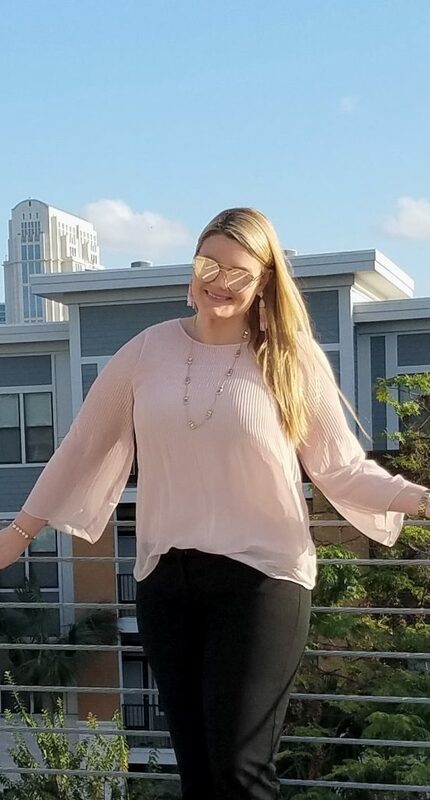 How pretty are these blush pants below? I can’t wait to pair mine with wedges and a lace top! 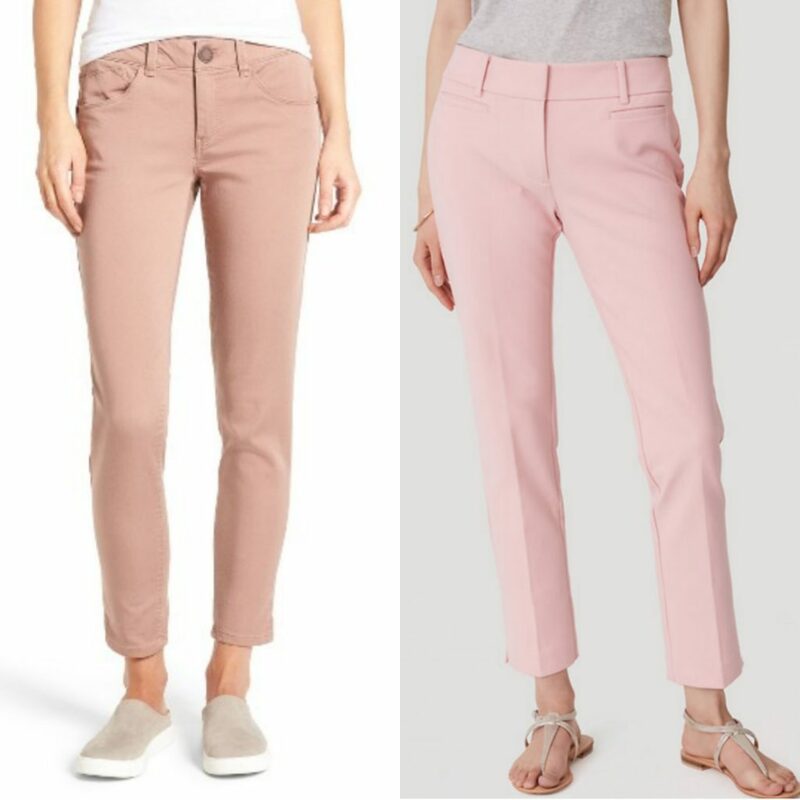 Left- Wit and Wisdom Ab-solution Twill Skinny Pants ($68). Right- Loft Riviera Pants in Julie fit (on sale now for $50). Speaking of shoes, grab these blush beauties before they sell out. All three can be used as a neutral in your outfit, and can be paired with brighter or darker colors on top. Left- Vince Camuto Corlina Ankle Strap Sandal ($99). Top right- Steve Madden Bestow Wraparound Wedge ($89). Bottom right- MICHAEL Michael Kors MK-Flex Pump (on sale for $74). 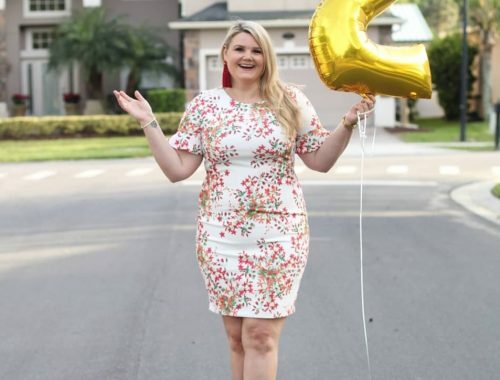 I’m usually a heels-girl, but in the spring and summer, I spend a lot of time walking outside and need a great pair of flats. 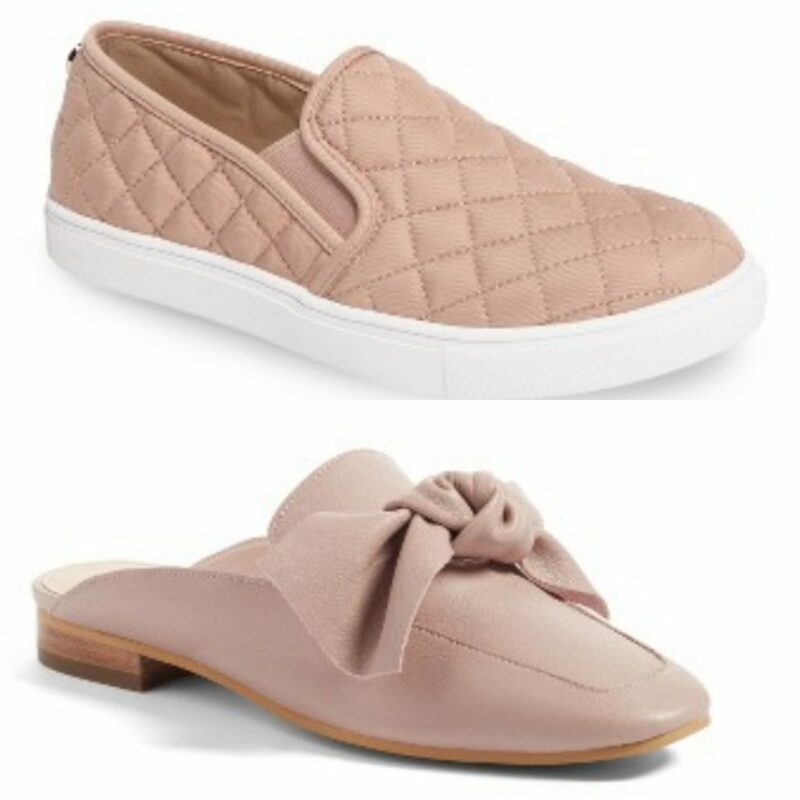 The Steve Madden sneaks below are not only cute, but practical for those long days of walking. And I die over those mules below- a bow AND blush? I’m in mule-heaven! Top- Steve Madden ‘Ecntrcqt’ Sneaker ($60). 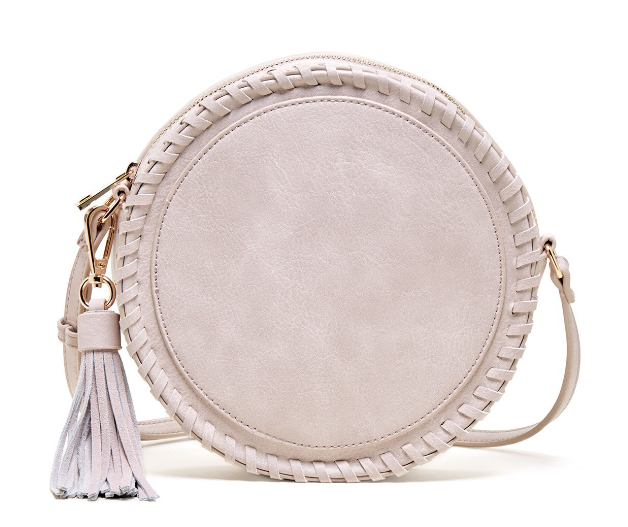 Bottom- BP Maddy Mule ($70). Left- Baublebar Jubilee Druzy bracelet ($28). Right- Baublebar Artemis Tassel Earrings ($34). Alright! Now you have your blush top, pants, dress, shoes, and handbag. 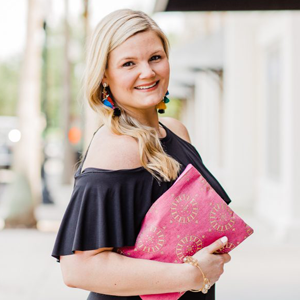 You’ve just created a whole new wardrobe to mix and match with your existing clothes- try your new blush pieces with the obvious color choices such as white, cream, black, and gray, or mix it up a bit and try pairing your blush with navy, teal, or olive (borrowed from your fall wardrobe). 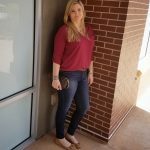 I love mixing the unexpected and usually can find a new color combo that is super flattering. Try it out! Along with my needed accessories, I rarely leave the house without makeup. I know, I know; I shouldn’t care if anyone sees me without makeup, but it makes me feel so much better, and more awake, when I put some color on my face and define my eyes. Below are some pretty blush shades of eyeshadows, lip gloss, and blush that are universally flattering. The Urban Decay Naked 3 palette is my go-to eyeshadow palette. I can create a subtle, natural look or a deep smoky eye in the matter of seconds, and these colors stick around until I wash my face at night. Since last year, I’ve become a big Kylie Cosmetics fan- I’m not really big into the matte lip colors she makes because I like a little more cushion on my lips, but her glosses are really great. Candy K is my favorite right now (shown below); in fact, I just ordered another tube this week because I’m nearly out of my last one! 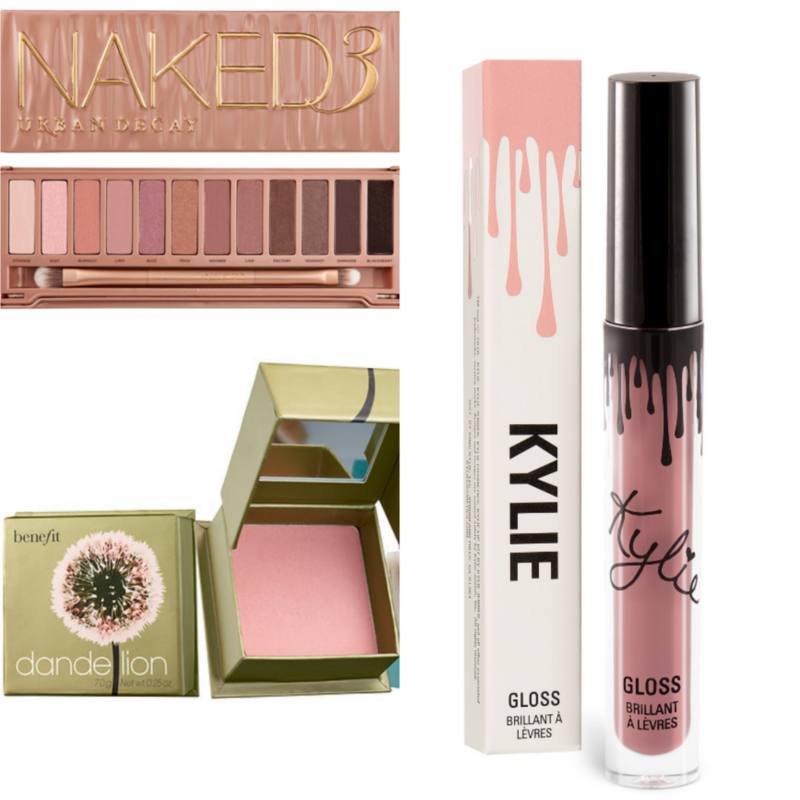 Top left- Urban Decay Naked 3 Palette ($54). Bottom left- Benefit Dandelion blush ($29). Right- Kylie Cosmetics Lipgloss in Candy K ($15). 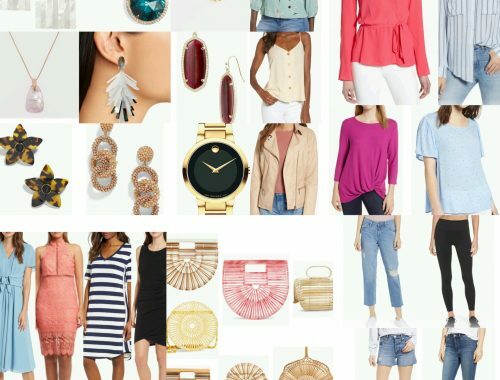 So how’s that for a color story on blush? 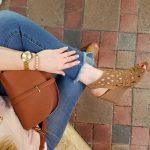 It was easy to find wearable, pretty pieces, and I hope I’ve given you some inspiration to enhance your spring wardrobe with this gorgeous color. 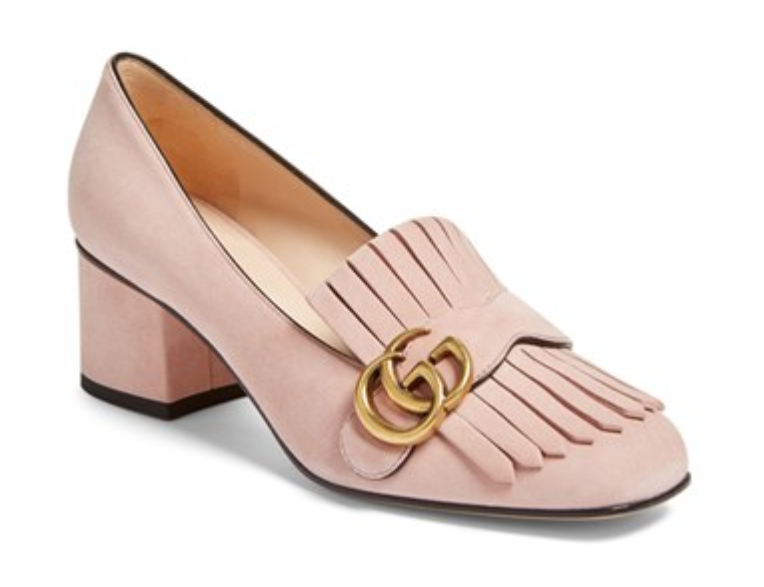 On a side note, I also found these amazing, dreamy blush Gucci pumps (below)- they may be a bit out of my budget but a girl can dream, right? 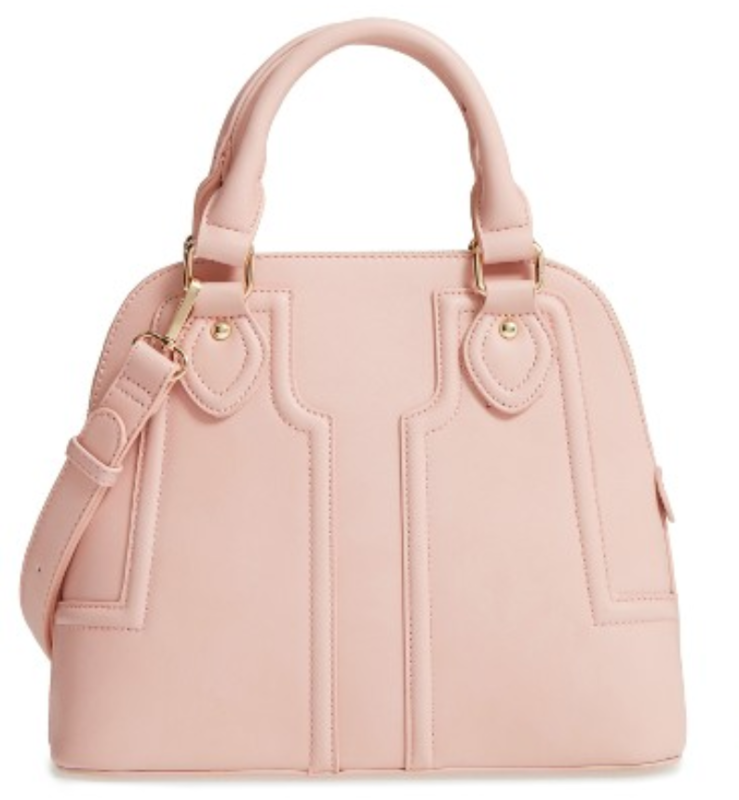 So if anyone is looking for gift ideas for me… these are definitely a wish-list item! Happy First Day of Spring to all you beauties out there! Have a fabulous week ahead! I so want to go blush shopping now!